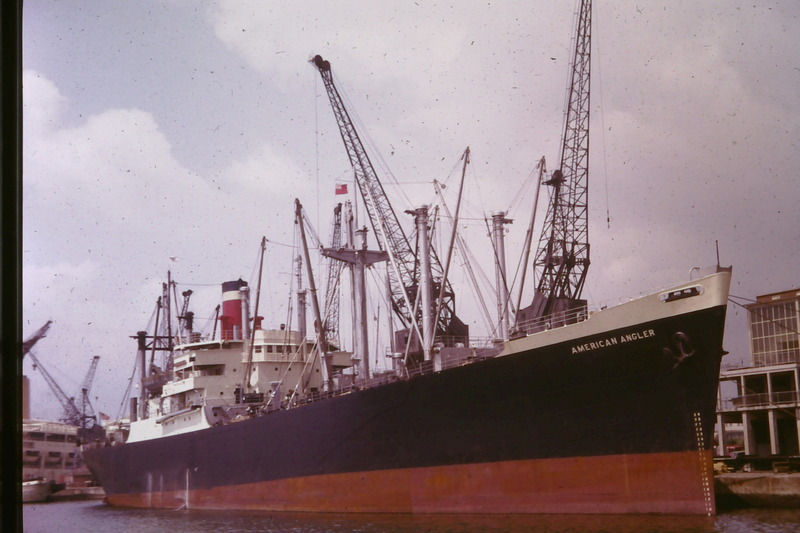 The United States Lines vessel AMERICAN ANGLER in Tilbury Docks in 1961.She was built in 1945 at 8.281 grt. Little bit of a problem with the location on this one, Jack. I think that AMERICAN ANGLER is here at the US military berth in Southampton docks. The P&O liner on the left is CANBERRA in drydock.